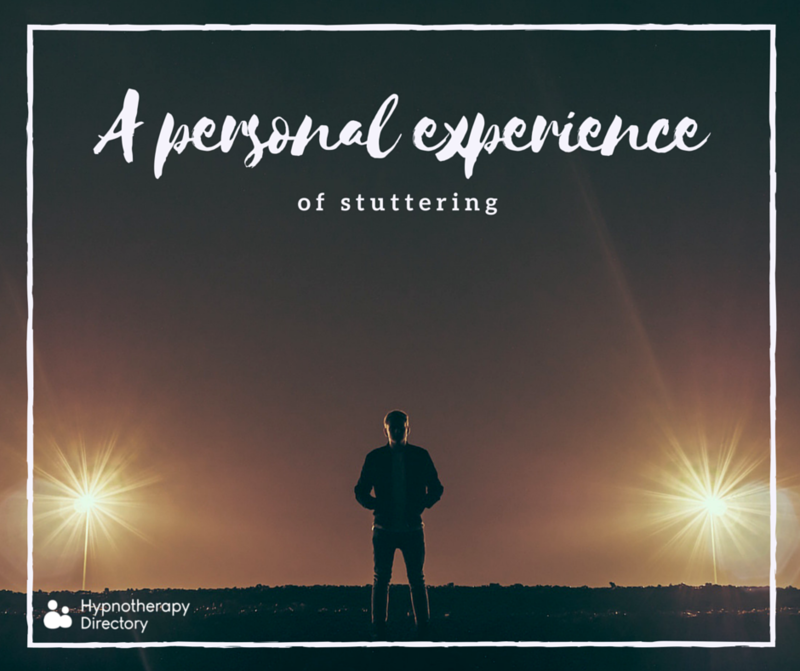 We explore how stuttering has affected a member of the Hypnotherapy Directory team, and how hypnotherapy can be used to manage the problem. “Well I’ve stuttered on and off throughout my life. It’s not very prominent now and people rarely notice when it happens. In my first year of university it was particularly bad. It’s usually direct questions that trip me up. Back then it was mainly when people asked me what course I studied at university, where I was from – basically things that have only one answer. Since then the main issue is more the stress of thinking I might stammer. New situations in particular – for example, I was more worried about giving details to the guy at the garage the other day when I took my car in for a MOT than the car failing. It can stop you from being social in general, particularly meeting new people where I’m more likely to get questions that I might struggle with. If I have trouble in general conversation, I can think of different words quick enough for people not to notice. 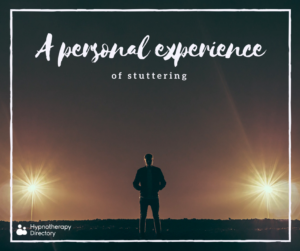 Hypnotherapy Directory member Dan Regan explains how hypnotherapy can help with people like James who suffer from stuttering. “Hypnotherapy can be incredibly helpful for someone seeking help with a stutter. It is always important that a hypnotherapist works with the individual in front of them, what happens for them, when it happens and so forth. This allows a very individual approach that is much more likely to lead to success. It may be that there are specific situations, people or other individual triggers. For example, I have helped people who only stutter in situations where they feel they are being judged or observed, such as in social situations or when public speaking. Using hypnotherapy it is possible to help someone develop new strategies or to call upon their resources from other types of situations to learn how to ease stuttering. 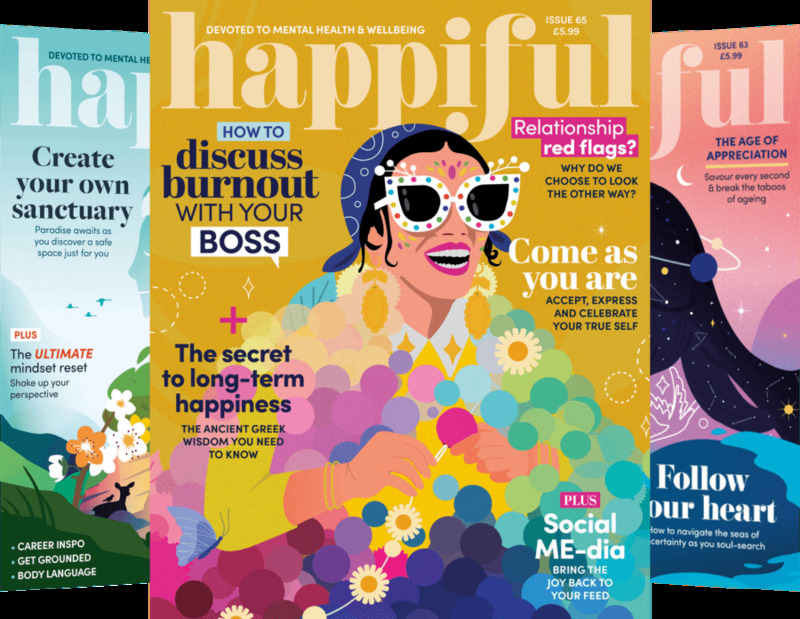 Stress and anxiety can play a large role both generally and if someone worries that they may stutter or about what other people might think about them if they do. There can also be the frustration of stammering and it could impact on confidence and self-esteem. If you suffer from stuttering and would like to explore how hypnotherapy can help, you can find a hypnotherapist in your area by using our advanced search tool.